If you are thinking of getting home a pet consider adoption very seriously. There are so many dogs out there in need of loving homes. a mixed-breed black shelter dog called Tory. Recently, there was some rather unusual news in the doggie world. 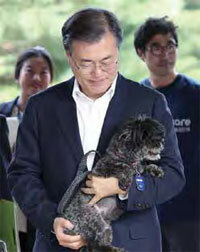 The President of South Korea, Moon Jae-in, adopted a mixed-breed black shelter dog called Tory. Tory was initially rescued from a dog meat farm. But because of the Korean prejudice against black dogs, rescuers found it hard to get her adopted. That’s when President Moon Jae-in, who made animal rights a key part of his campaign, stepped in to give her a forever home. And the president has made a great choice because mixed-breed dogs such as our own Indian dogs make excellent pets. When you’ve finally made the decision to adopt, it is always wise to go through an organisation like the Indian Canine Upliftment Centre (ICUC), an NGO devoted to the care of Delhi’s street dogs. You’ll find most of the dogs up for adoption are Indian dogs but sometimes you’ll come across pedigree dogs who have been abandoned. You could choose a puppy and have the fun of training it yourself or pick an adult dog that is already housetrained. Senior dogs are often abandoned and are not the first choice for many families. But if you feel you could take in a senior dog you would be doing a wonderful thing for another living being. In fact, by adopting from a shelter, you are not only helping the dog you select, you are also helping another animal in need by creating a vacancy. Before you choose a pet think what kind of dog would be best for your family? 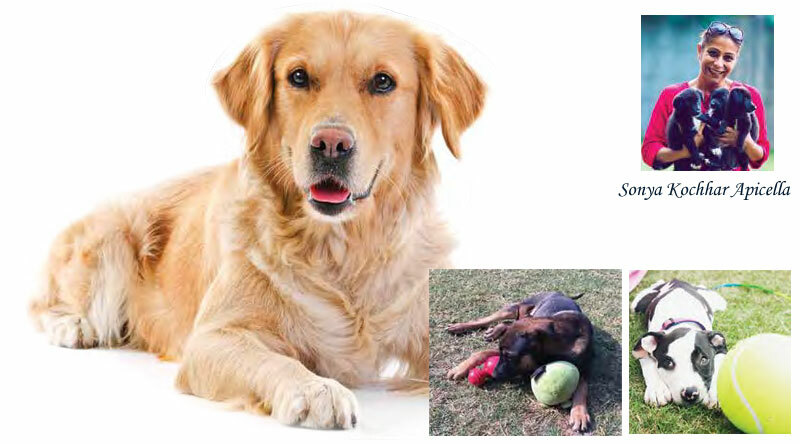 Remember that dogs such as Alsatians, Labradors, Golden Retrievers and Collies need lots of exercise and that long-haired breeds will require quite a lot of care and grooming. The advantage of Indian dogs over pure-bred dogs is that their immune systems are stronger so vet’s bills are likely to be lower. Indian dogs are acclimatised to Delhi’s weather conditions and generations of street living has made them highly intelligent and adaptable. They love to play and quick on learning. When you meet a shelter dog, ask the staff about his history and health. Find out if he is taking any medication or has any health problems. Also ask about his behaviour since coming to the shelter. Spend time with the dog who attracts you most and see how he relates to you. Is there a ‘connection’? Unless you are very experienced with dogs, pick an animal who is curious and alert but not nervous or jumpy. When you come close, the dog should wag, sniff you or even roll over for a tummy scratch. Before making the final decision, try to bring the whole family along to meet the dog. Dogs sometimes respond differently to different people. And you want to make sure your chosen companion actually likes children before introducing him to a home with young kids. Most shelters will vaccinate and deworm, and neuter or spay the dogs in their care (as long as they are the right age). Ask what medical treatments your selected dog has had recently. If you adopt a puppy or young dog, but don’t have time to train him then Canine Elite can provide obedience and agility training plus a whole range of other services including grooming free of cost!!! And if you are holding back from adopting because you have to travel from time to time then don’t worry because Canine Elite’s comfortable kennels will provide a home from home for your treasured pet while you are away. If you love dogs but can’t adopt because of personal constraints, for example your partner or child may be terrified of dogs, then why not consider sponsoring an animal in a shelter? The dog will be safe and well cared for and you can visit whenever you wish. Or get involved in the marvelous work done by ICUC in Delhi. Finding homes for newborn litters. Spaying and neutering to control the street do population in the city. Running free rabies vaccination camps. Providing warm blankets and coats for dogs in winter as well as rations for street dog shelters. Spreading awareness of the needs of street dogs. Taking sick street dogs to the vet, bearing the cost of treatment and giving aftercare during convalescence. Hope these tips make things easier for you and you get to meet your new favourite family member soon enough!